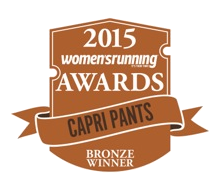 "Zara capris are the most comfortable and flattering sports pants I have worn. They are clearly made from high quality material which does not lose any elasticity during a workout and washes brilliantly - no colour fading!" "ZAAZEE leggings are comfortable, practical. stylish and affordable. I particularly liked the high waist, often 'work out' trousers are low rise which exposes your stomach while running or at working out at the gym. The neoprene-type material which wrapped around each leg is great for wiping sweaty hands on. I would recommend these to anyone from a total beginner to an elite athlete."